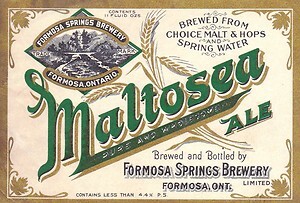 On this day in 1958, Formosa Spring Brewery in Ontario, Canada literally ran out of beer due to a strike called by Brewery Warehouse employees (there were around 1200 employees in all the breweries in Ontario at the time). The flow of beer was stopped for 48 days and Canadians scrambled to neighboring USA for their libations or bought expensive cases from bootleggers. During that time, the hit song, “A Pub With No Beer”, was played repeatedly on the radio during the strike. In fact, this country song was the best-selling record in that time and even went gold!